Pep Guardiola experienced possibly the worst 20 minutes of his managerial career in Manchester City’s 4-2 loss to Leicester City last weekend. City moved seven points behind league leaders Chelsea, and the inevitable pressure that follows the Spaniard is increasingly building at the Etihad Stadium. If the fans haven’t begun to question Guardiola’s methodology, the media is certainly relishing City’s misfortunes. Guardiola is aware that results outweigh the overall performance, but his seismic quest since appointed Manchester City manager nearly a year ago insists the Spaniard must achieve the aforementioned traits. Trailing 3-0 to Leicester last season may have been accepted, even for a club as wealthy as City, but Claudio Ranieri’s side are currently flirting with a potential relegation battle, and were thoroughly embarrassed by majority of this year’s top sides. But like any loss, or game for that matter, football is a learning experience for Guardiola. However, the harsh reality of modern football constantly reminds us that time waits on no man. More so, Guardiola’s previous success abroad, which rightly generated hype across the continent is partially responsible for the scrutiny behind every City slip-up. Many regard Guardiola as the prototype manager of this generation, but the fact that the Spaniard has yet to conquer the Premier League combined with City’s current struggles, raises questions about the football displayed at the Etihad Stadium. “I am enjoying the way that we are playing,” Kevin De Bruyne told Sky Sports. “I think we are playing good football and the way that we want to play is very positive. I think people enjoy watching us play which is a good thing. There’s more to the Guardiola’s philosophy than simply ball retention and high-pressing, but both traits helped the Spaniard’s previous sides excel with and without possession. More importantly, it’s about evolution for Guardiola. Wherever he’s managed there have been massive shifts both tactically and amongst the personnel at his disposal. But a move to Manchester City and the Premier League was always a risk in comparison to his time at Barcelona and Bayern Munich. Over the past few seasons, majority of the top sides hovered around the same level of quality, whereas the likes of Liverpool, Manchester United, Spurs, and even Chelsea to a certain extent represent stable squads. Essentially, Guardiola’s arrivals at Barcelona and Bayern were much smoother transitions because he was working with flexible players that possessed a general idea of the Spaniard’s concepts. Prior to Guardiola’s appointment as Barcelona manager, the Catalan club had finished third behind Villarreal and a whopping 18 points adrift of a Real Madrid side that lost seven games that season. Spain’s Euro 2008 triumph may have sparked a catalyst to a club side anchored by Xavi and Andres Iniesta, but Guardiola sold the egotistical dressing room rebels, and instilled possession-based system built around his obsession with ball-playing midfielders. In that time, Lionel Messi transformed into arguably the best player ever, whereas putting faith in Barcelona B players Sergio Busquets and Pedro Rodriguez generated elite prominence for the duo. Guardiola’s departure may have been bittersweet, but he was the architect behind one of the greatest teams of all times, whom are responsible for the revolutionary tactical obsession with ball-playing midfielders, and building attacks from the goalie. At Bayern, Guardiola’s task was difficult and he may never truly receive credit for what was achieved at the Allianz Arena. Bayern were the reigning European Champions, but three consecutive semi-final exits deprived the German club of building the continental dynasty many envisioned. Although the transition wasn’t equally swift at Bayern, the German club were recording the highest possession percentage in the country, but sustaining their level of greatness and evolving the club for the long-term is a crucial aspect of longevity that is often forgotten. In truth, Guardiola’s pragmatism ensured Bayern still played to their strengths – the wide players – but Phillip Lahm thriving in a central midfield role, Jerome Boateng transitioning into one of the best centre-backs in the world, and full-backs operating as additional midfielders illustrates the Spaniard’s invention. At City, however, the task of identifying and signing a new crop of players, whilst integrating his style is quite tedious. With no fear of breaking barriers, Guardiola’s move to England currently represents turbulence opposed to the trailblazing tactical dexterity that often led to success. Although Manuel Pellegrini and Roberto Mancini won silverware at the Etihad, individualism amongst top players secured narrow title triumphs in both eras. However, Guardiola’s quest of building a cohesive unit with a clear approach has forced several default system alterations. For example, the use of Kevin De Bruyne and David Silva as deep-lying central midfielders and Aleksandar Kolarov as a centre-back ensures Guardiola has yet to change, but in most cases, including this one, it suggests the manager is unaware of his best squad, but Guardiola is renowned for aligning his side to expose the opposition’s weaknesses. Antonio Conte’s job was already rumoured to be in jeopardy following two autumn defeats to Liverpool and Arsenal, but a change to a defensive back-three has led to Chelsea’s current 10-man win streak. City’s inconsistent run, however, also hints that perhaps adaptation or is also required at the Etihad. “The Premier League is making Guardiola look average,” said announcer Jim Beglin during City’s loss over the weekend. But that isn’t necessarily a negative outlook to Beglin and several members of the English media that still proclaim the Premier League as the best league in the world. There’s not one match where the cries for Guardiola to embrace the open, physical nature of English football hasn’t been mentioned. Oddly enough, while the Premier League is so dependant on foreign players to provide quality, attention, and prestige to their top competition, Guardiola achieving success would tarnish the misconception that astute tacticians from abroad can achieve long-term glory in England. Many classify Guardiola’s reluctance as arrogance from a man who believes his way is superior to the rest. It’s why Claudio Bravo’s difficult start to his Manchester City career is heavily scrutinized, especially at the expense of England international Joe Hart. It’s why the ongoing innovative tactical tweaks surfacing in Premier League football won’t be appreciated until later. It’s the fear of change – that managers like Conte, Jurgen Klopp and Guardiola are capable of bringing the league back to European prominence by deploying approaches that go against English football’s tradition. Guardiola conquering English football would not only be devastating to the diehard Premier League supporter, but it would offer a moment of reflection to a league praised for it’s competitive nature following the rapid decline of it’s traditional top four. More so, Guardiola’s progress given the circumstances is ahead of schedule. The counter-pressing, and attacking moves in the opposition’s final third have been periodically great, but it’s the defence that’s proved costly. City’s back-line have struggled to cope with the increased amount of space they’re forced to cover, but more importantly they lack astute defensive minded players ahead of Bravo. Defending in isolation isn’t an easy task, but basic individual mistakes from nearly every member of Guardiola’s back-line is worrying. It’s the fine margins between success and failure, and truthfully, improving the defence is most likely next on City’s agenda. But turning to full-backs to play in centre-back roles proved costly: Bacary Sagna doesn’t look comfortable in that area, and Kolarov – renowned his attacking traits – is being targeted for his defensive deficiencies and lack of pace in transition. Despite recurring John Stones errors, the City defender is still a work in progress, while Nicolas Otamendi is constantly forced into silly errors away from the penalty box. Ultimately, that’s football, and failure to increase a lead and limit defensive errors comes with consequences. Guardiola may have his flaws – the persistence to constantly adjust in search of perfection, or the few minimal personal vendettas with players – but the implications that come with City’s future results can alter English football’s paradigm. There’s a possibility Guardiola’s City won’t attain the levels his previous Barcelona or Bayern side reached, but there isn’t a better candidate capable of ending the constraints placed around the country’s football philosophy, thus equally preventing opportunities of growth and innovation. Maybe then – and only then – football admirers will step away from the misconception that the Premier League is the superior competition the sport has to offer. Where Guardiola was once accused of being responsible for his own downfall, now, his personal battles rests in whether he could prove that tactical universalism exists – even in the fierce, high-paced Premier League. Barcelona’s 1-1 El Clasico draw against Zinedine Zidane’s Real Madrid was perceived as a loss rather than one point gained. Though it may only be December – with more than half the season to play – Real’s six-point lead over their rivals is an assuring gap. The Spanish champions’ recent rut includes four draws in five games, in which Enrique’s men have struggled to impose their authority on opponents and are simply devoid of attacking flair in the final third. In majority of these matches, the Catalan side’s attack was completely tame, and you could argue that in most scenarios, barring Lionel Messi’s brilliance, Barca were rather fortunate to avoid defeat. The treble winning season witnessed Barca go on a tremendous run of form at the turn of the year that possibly coincided with Messi moving to the right so Luis Suarez could roam laterally into the channels to lead the line. Last year they broke away from the pack in the first half of the season, but suffered a losing streak in the spring – that included a Clasico defeat to Real and a Champions League exit by Atletico – and were ultimately rescued by Suarez’s glut of goals. Perhaps the tactical periodization so heavily mentioned when many defended Barca’s poor form under Enrique is responsible for their slow start to the season, but stylistically, the issue seems more severe. Where you could once argue Barca possessed the best XI in world football, the fear of potential injuries encouraged the club to heavily bolster their depth over the summer. The arrival of Denis Suarez, Lucas Digne, Andre Gomes, Samuel Umtiti, and Paco Alcacer provided depth in areas that Barca felt they risked vulnerability if injuries occurred. But where you can argue that the reigning Spanish champions have a better squad, Enrique’s men haven’t necessarily progressed. Success is often the downfall for most football clubs because if you tinker with a winning side you risk tampering with the overall balance. Yet, when clubs opt to persist with the current squad or improve depth, they often experience regression as opponents identify ploys to negate their threat and equally evolve as well. The issue many had highlighted during the early stages of Enrique’s tenure, but in terms of the club’s philosophy following the Guardiola era, the current Barcelona side still featuring Andres Iniesta, Lionel Messi and Sergio Busquets is drifting in a different direction. Enrique’s signings have been predominantly direct players opposed to legitimate ball treasurers, which was an integral trait in midfield during the Guardiola era. In truth, it starts with their work-rate out of possession: the high intense pressing, and swarming counter-press in central areas is barely displayed. Dropping into two banks of four, Messi and Suarez have remained central – though they perform their fair share of closing opponents down from the front – but Barca retreat into their base shape, conceding ample space in central areas. Elsewhere, as witnessed in the most recent draws at the Anoeta and Clasico, when Barca encounter heavy pressing, they no longer possess the personnel capable of retaining possession until the opposition tired. Simply marking Busquets out of the match deprives Barca of control in midfield, thus leaving the front trio isolated upfront and starved of service, whereas the option of Gomes, Arda Turan, Rafinha and to an extent Denis Suarez have been overrun and out-worked in central areas. This was also witnessed in a comeback victory over Sevilla a few weeks prior, but Messi’s second half brilliance was pivotal to the eventual outcome. Messi was forced to drop deeper to spread possession, play penetrative passes in advanced positions, and ignite breaks with his dribbling, which resulted in a goal and game-winning assist from the Argentine. Essentially it takes away from Pep Guardiola’s initial plan of keeping Messi within close proximity of the opposition’s goal, but the Argentine’s passing range prevents Barca from simply aiming to quickly play passes into the attacking trio’s feet. Talks of “Messidependcia” have decreased in recent years, but if Busquets’ influence is negated, Enrique’s Barca now seem heavily reliant on the 29-year-old. Messi has scored 62 per-cent of Barcelona’s goals since defeating Manchester City at the Camp Nou in mid-October, and in many of those games he’s been the defining factor between wins and losses. Though Messi wasn’t at his best against Real, he was still involved in the club’s best moves and frankly should have won the game. To be frank, that was the negative aspect of the Clasico result from a Barca perspective. Although they squandered two legitimate opportunities to secure maximum points, it took Iniesta’s return to slightly improve the entire dynamic of Barca’s play. The Spaniard is one of the few core players remaining from prior success, and though his game is heavily based on his swift dribbling, he still represents a calm presence in possession. But Iniesta’s lack of consistency in terms of overall displays at the club level suggests that even his presence in the XI isn’t the definitive answer. Rakitic and Suarez’s poor form, the slight tweaks to Neymar’s role – that saw the Brazilian hug the touchline before cutting inwards – combined with the unrealistic demands on the new young summer signings to immediately adapt to the Barca style coincides with the current identity issue at Camp Nou. Once renowned for their wonderful team play and built around a ball-retention philosophy, Enrique’s Barca transitioned into an individualistic side suffering in a broken system. Coincidentally, it’s rivals Real, that pride themselves in buying the best individuals under Florentino Perez, that now represents a pragmatic cohesive side under Zidane. Real pressed the Barca midfield intelligently at the Camp Nou, and under the guidance of the magnificent Luka Modric they comfortably disrupted the hosts play and enjoyed positive moments on the counter. Even with several first-team players unavailable due to injury this season, and Cristiano Ronaldo possibly suffering from regression, Real have found ways to win games, whilst remaining compact and defensively resolute at the back. Ironically, now, Real’s midfielders can control games though ball retention and pass their way to victories, along with still retaining the devastating frontline that can exploit the smallest errors on the counter-attack. In what’s clearly a hybrid of proactive and reactive football, the most important element to Zidane’s success involves keeping fringe players happy, and being able to count upon his entire roster to abide by the Frenchman’s pragmatism through tactical discipline. Real Madrid haven’t been stellar this season, but unlike Barca, when playing poorly, they’ve found ways to win games. When key players were missing, and the youngsters filled their roles admirably, meanwhile at the Camp Nou it’s difficult to harp the same tune. Enrique’s tenure as Barca manager has been equally peculiar: despite claiming the treble in the first season and a league-cup double last year, the reigning champions have failed to perform well over the duration of a full season. Losing integral players that understood what was once Barca’s default system – like Dani Alves, Xavi and Pedro – has essentially provided a stylistic dilemma, but equally placed additional workload on Messi, in particular. 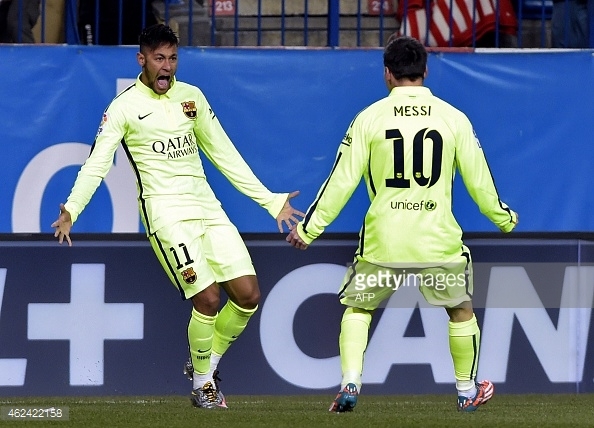 Where Enrique can’t be faulted for turning to youth, Messi’s brilliance won’t overshadow the issues at Camp Nou. The increasing concern on individualism amongst the front three and quick counters leaves Barca without a clear systematic approach. Perhaps Iniesta’s return and the eventual winter break can allow several Barca players to rediscover their optimum form to alleviate the pressure, but with Real representing possibly the most settled side in Europe – given the personnel – Enrique’s margin for error is slim. Barca may have improved their depth this summer, but at the moment they simply aren’t performing as a cohesive unit under Enrique, and the reliance on Messi is reaching insurmountable levels. Chelsea’s 2014-2015 title triumph was heavily associated with Jose Mourinho’s efficient summer transfer activity. What was supposed to be a shift from the initial squad Mourinho built a decade prior challenged the Portuguese manager to build a dynasty around young, technically gifted players. Mourinho’s main signings that summer, though, addressed some of the personnel issues Chelsea encountered subsequent to the Special One’s initial sacking. Thibaut Courtois was maturing into one of the best goalkeepers in the world, rather than the aging and error-prone Petr Cech. Filipe Luis was the best left-back in La Liga and was expected to be the left-back to continue in Ashley Cole’s footsteps and possibly enable Cesar Azpilicueta to play in his preferred right-back position. But the biggest transfers simply catered to the biggest fears regarding the undergoing evolution at Stamford Bridge. Replacing Didier Drogba was difficult – to an extent that he returned as a third striker that season – but the club took one of many risks on Diego Costa: a key figure in Atletico Madrid’s title-winning campaign the year prior, who enjoyed his first top-class season. Costa’s a powerful all-round striker that willingly worked through the channels, whilst combining his poacher’s instinct and pace to run beyond the defence to notch 20 league goals in his debut campaign. Stylistically, the Spanish international fit the mould of a centre-forward capable of dominating English football and easily settling into a Chelsea side that required his presence. Cesc Fabregas, on the other hand, was the antithesis: more interestingly, he developed into one the top midfielders in the Premier League during his spell with rivals Arsenal as a youngster. Where Chelsea’s midfield of the past was physical and direct, often bullying Fabregas in central areas, the Spaniard represented a slimmer, yet technical craftsman that was capable of connecting passes from deep, or the final pass around the box to create legitimate goal-scoring chances for his teammates. If the decision to acquire Juan Mata, Eden Hazard and Oscar didn’t highlight the stylistic shift at Stamford Bridge, Fabregas move from Barcelona did. Still, Fabregas’ familiarity with the league ensured it was less of a risk for Chelsea, and his ability to dictate matches from deep was pivotal to the Blues success subsequent to his arrival. Although a role in a deeper midfield position was beneficial to Fabregas due to his positional versatility in central areas, the Spaniard also suffers from tactical indiscipline. Perhaps his rapid growth at Arsenal overshadowed these issues, but to be frank, Arsenal’s lack of discipline prevented Arsene Wenger’s side from challenging on a domestic and continental front in recent years. Despite previously playing a deep role in a midfield two, Fabregas’ best seasons for Arsenal witnessed the Spaniard playing in an advanced position – 4-3-3 or 4-2-3-1 – with defensive minded players like Alex Song and Abou Diaby operating ahead of the back four. Fabregas’ recorded a team high 15 league goals and the most assists during his final season at the Emirates thus proving his threat closer to goal. Likewise, something similar occurred during his final season at Barcelona under Tata Martino’s direct approach. Barcelona were renowned for their patient buildup and extensive spells of ball possession, but Martino was eager to add a quick, but direct element to their game which Fabregas preferred. “This coach [Martino] lets me play the way that suits my qualities and I’m very comfortable, very happy,” Fabregas told FourFourTwo magazine following Martino’s arrival. Ultimately, Fabregas’ joy regarding the positional freedom he received at Arsenal and under Martino has led to his downfall at top-sides with elite managers. Fabregas’ move to Barcelona was specifically based around helping Guardiola evolve the Catalan side, opposed to the Spaniard becoming Xavi’s successor. Sergio Busquets cemented his role at the pivot, Xavi offered similar passing and tempo-setting traits further up the pitch, while Fabregas couldn’t connect midfield and attack with his dribbling like Andres Iniesta. Nonetheless, Fabregas’ ability to locate space between the lines and goal-scoring threat around the box provided the perfect outlet to create space for the wide players and Lionel Messi, along with making late runs into the box to score goals. Guardiola’s shift to a 3-4-3 saw Fabregas shuttle forward, and continuously interchange positions with Lionel Messi upfront. When Messi dropped deep into midfield, Fabregas received space to charge into the box, which explains why only his final season at Arsenal offered a higher goal and assist return. But Barcelona struggled to maintain the incredible levels that led to their historic league and European title triumphs, and Fabregas received ample criticism due to willingness to instantly play forward passes. Guardiola’s teams are often maligned for their use of possession, but they heavily rely on positional and tactical structure in both phases, and Fabregas was a liability in that respect. “We like the fact that he [Fabregas] is so mobile, but it has to be done sensibly. In the end, there is a ball and people who move, but they should move to where they need to be. We do not have a remote control to direct them from the bench,” said Guardiola. The second half of the 2014/2015 campaign at Chelsea presented a similar challenge for the Spaniard who started the season superbly. With Nemanja Matic suffering from fatigue due to lack of squad rotation, Chelsea were being exposed and overrun in midfield zones when Fabregas pushed forward to link play. Opposing teams located the Chelsea midfield as a weak point and targeted Fabregas’ lack of mobility and inability to maintain his position ahead of the back four, thus virtually exposing Matic. Mourinho swiftly reverted back to a 4-3-3 and a deeper defensive block, which led to a string of slow-burning one goal victories, as the freedom Fabregas and the attacking Chelsea players received was quickly sacrificed for silverware. Guardiola and Mourinho encountered difficulties maximizing the Spaniard’s strengths due to his tactical limitations, and playing to his strengths didn’t provide silverware at the Emirates, so it’s unsurprising that Fabregas is currently fighting for a starting spot under Antonio Conte. In the past, Conte’s teams have been built to attack and renowned for their high-octane pressing, but the Italian is a pragmatist that instantly identified the personnel issues in the Chelsea side he inherited. Chelsea sit deeper under Conte, and rely on Matic and Oscar to press opponents and maintain the side’s structure ahead of N’Golo Kante. The Blues’ transitional vulnerability has decreased and they have become much harder to breakdown, with majority of the goals conceded have been via individual mistakes and wonder-goals. Nonetheless, Fabregas’ is definitely missed from an attacking perspective. Chelsea struggle to build attacks from deeper positions – which ultimately led to the deadline day purchase of David Luiz – and creativity is non-existent in the middle third of the field. Oscar and Matic’s pressing can create swift transitional breaks, but Conte’s side remain unconvincing when the opposition freely concedes possession. While many had suggested Fabregas could slightly play the deep-lying playmaker role Andrea Pirlo revolutionized at Juventus, Chelsea simply don’t have the midfield shuttlers or competent defenders behind the Spaniard to provide such freedom. But Fabregas’ influence in Diego Costa’s winner at Watford, along with his two goals at Leicester in Chelsea’s midweek Capital One Cup win over Leicester, mounts pressure on Conte’s decision to start the Spaniard. However, the latter scenario involved Fabregas struggling throughout the match until Conte pushed him behind Costa and relinquished the Spaniard’s defensive duties. Fabregas’ versatility could see Conte experiment with the Spaniard in an advanced role, but until he improves in the defensive phase – in terms of positioning, work-rate and concentration – he doesn’t merit a spot in the Chelsea XI. It appears to be a recurring issue throughout the Spaniard’s career, but it’s the key issue that’s deprived Fabregas from excelling at the biggest clubs in the world. Throughout the span of Fabregas’ career, the 29-year-old has experienced significant changes – elite managers, proactive and reactive philosophies, and positions – but nothing is more intriguing than this upcoming showdown against Wenger’s Arsenal. It’s been five years since the Spaniard and Arsenal manager have parted ways, but with the former desperately fighting for a place in the XI and the latter still unable to mount a legitimate title challenge, it appears that very little has changed. 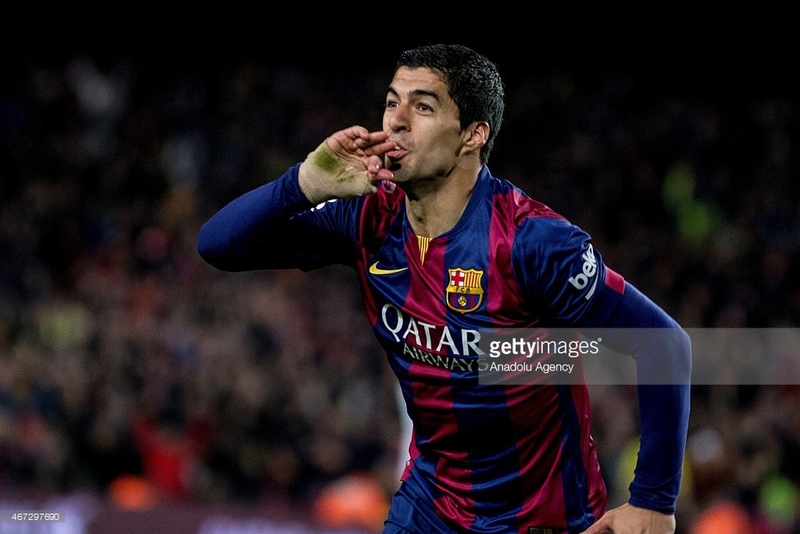 Barcelona moved four points clear of rivals Real Madrid with a narrow victory at the Camp Nou. Luis Enrique named his expected XI with Javier Mascherano stepping into midfield for Sergio Busquets, who was unable to start the match, to join Ivan Rakitic and Andres Iniesta. Similar to Enrique’s team selection, Ancelotti’s XI offered no element of surprise. The Italian recalled Toni Kroos into midfield alongside Luka Modric, Isco and Gareth Bale, while Cristiano Ronaldo and Karim Benzema started upfront. This match followed a similar pattern to previous clasico’s with Real enjoying the better first half, and Barca improving throughout, but more importantly it showcased the stylistic alterations that have taken place at both clubs. Barcelona were far from their best in the opening half, but their inability to impose authority on the match was unsurprising. The home side’s transformation into a devastating counter-attacking outfit has been showcased on several occasions this season, but with limited space to exploit in Madrid’s third, Enrique’s men failed to consistently pose a threat in attacking zones. Madrid’s two banks of four maintained a high-line when Barca attempted to play out the back, and their pressing forced the home side to occasionally concede possession cheaply. On the other hand, Madrid limited space between the lines when they dropped deeper into their half, further thwarting a star studded attack. More so, Modric moved to the right to ensure Madrid held a numerical advantage against Neymar and Jordi Alba. The Croatian equally monitored Iniesta’s movement, whereas Kroos was handed the task of pushing forward to pester Javier Mascherano. Although Suarez endured a quiet opening half, the Uruguayan was the most effective Barca player by dropping deep in attempt to link play – this movement forced Pepe to commit the foul that led to Jeremy Mathieu’s opener. The home side should have doubled their lead shortly afterwards when Suarez’s mishit shot fell to an unmarked Neymar in the box, but the Brazilian fired a tame effort directly at Iker Casillas. Real produced arguably their best display in recent weeks in the latter stages of the first half. Kroos and Modric were tidy in central areas, igniting sleek attacks from deep areas, but majority of Real’s moves stemmed down the left flank. With Barca dropping into a 4-5-1, and considerably keen on retreating into their base shape, Ancelotti’s men exploited space behind the advanced Messi. Marcelo freely surged down the left to steer Real into key areas, and he equally completed the most attacking third passes for the away side. Ronaldo drifted to the left towards the end of the half with hopes of offering a greater impact, but Rakitic quickly shuttled over to his right flank to aid Dani Alves. Real’s minimal penetration in the final third has thwarted their threat in recent weeks, and while the right side was fairly anonymous throughout, Marcelo’s adventurous positioning was significant. However, the game’s most threatening attacking player was undoubtedly Benzema, as the Frenchman was often on the end of Marcelo’s surging runs. While Benzema has often been the scapegoat at the Bernabeu, mainly for some questionable finishing, and the pressure of playing alongside two of the most expensive players on the planet, the Frenchman was Madrid’s key man at the Camp Nou. Here, Benzema’s off-the-ball movement was simple, yet efficient: he often made diagonal runs across centre-backs Gerard Pique and Mathieu, or cleverly drifted into half-space to receive forward passes. Real’s first legitimate chance saw Benzema move into half-space to receive a pass from the rampaging Marcelo, before receiving space from Alves to clip a ball into the far post but Ronaldo directed his shot off the crossbar. Prior to the aforementioned chance, Benzema made a simple diagonal run into right half-space, but he lashed his shot inches wide of the far post. Coincidentally, the Frenchman made an identical run in the buildup to Ronaldo’s equalizer, this time opting to back heel the ball into the path of the Portuguese striker who failed to test Claudio Bravo. Likewise, Benzema’s general linkup up play was equally impressive. He dropped deep to receive the ball, and clip a pass into the right channel for Bale, and his ability to hold off Mathieu and spin Mascherano was pivotal in the buildup to Ronaldo’s long distance effort towards the end of the half . Overall Benzema’s movement was excellent, he combined well with teammates – creating Ronaldo’s equalizer – and was unlucky not to convert Real’s sole legitimate chance in the second half, following an excellent passing move on the break that was initiated by the Frenchman. Frankly, a few vital last-ditch tackles from MOTM candidate, Gerard Pique prevented Benzema from punishing the hosts in the first half. In a monumental (potential) title decider against the club’s biggest rivals, it was Benzema that posed several issues for Barca’s back-line opposed to Ronaldo or Bale. Suarez left the clasico a hero Sunday night, with his second half goal further displaying modifications made under Enrique. The goal itself wasn’t memorable, but it solidifies a shift in the club’s philosophy. In the past, Barca may have continued to try and break Real down with intricate passes in the final third, but here, and as they have on several occasions this season, they adopted a direct approach to bypass the away side’s pressing. Following several passes between the Barca defenders, it was Alves’ long ball into right half-space that saw Suarez run across Pepe to expertly control the pass on his chest and slide his shot past the keeper. Suarez had varied his movement throughout – running off the defenders shoulder or dropping deep to link with an advancing teammate – and fittingly both methods resulted in goals. Rakitic also played a key role in the build up as his vertical run in the right channel pulled Ramos out of position, and created a laneway for Suarez to run into. This move would be classified as an atypical method of attack in the past, but Enrique’s shift deems Suarez’s winner as the ideal goal. With that being said, Suarez’s goal altered the pattern of the match, and specifically flustered what was turning into a classic Madrid performance. Mascherano attempted a simple long ball over the defence for Neymar 10 minutes after Suarez’s goal, but Carvajal did well to nudge the Brazilian aside. But Real were desperate for a winner, and in return sacrificed their solid shape to push more men forward. Neymar’s influence increased with his individual slaloms from the left, while Messi found more space between the lines to drive at Real’s defence to place his teammates in goal scoring positions. Now there was plenty of space for Barca’s prolific front three to exploit on the counter, but their finishing and final ball was consistently underwhelming. Madrid’s attempt to rescue a point failed, with Benzema’s deflected effort serving as the sole chance that tested Bravo. Where Enrique turned to three ball playing midfielders in Xavi, Busquets and Rafinha ensure his side retained possession in the final minutes, only Jese Rodriguez’s introduction looked capable of impacting the match. 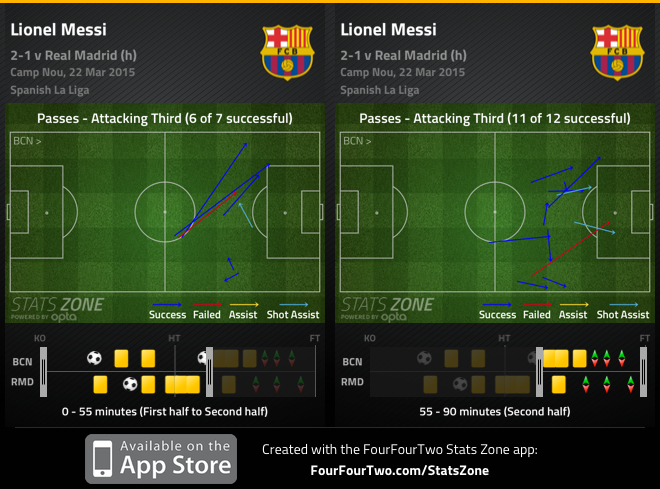 Still, Madrid transitioned into a lopsided 4-2-4 that equally played into Barca’s hands when they won possession. Ancelotti lacked options on the bench to alter the match, and an attempt to rescue a late point left Madrid vulnerable on the counter. In the past, Barca was renowned for dominating possession, whereas Real relied on quick transitions to bypass their energetic pressing and score goals. But where Ancelotti’s side has shifted into a possession-based outfit, Enrique has maximized the strengths of his attacking three with an enhanced direct approach. Both sides stuck faithful to their systems throughout, with both centre forwards playing key roles in the end result. Benzema’s terrific movement and linkup play resulted in several slick passing moves that terrorized Barca’s back-line. But Suarez served as a diligent reference point upfront that offered the home side an additional element of attack that they have missed in recent years. “He (Suarez) is not just an old-style striker; he can also combine with his team-mates, he reads the game well, he knows what the team needs at key moments,” Enrique said. Real’s initial approach was logical considering the threat Barca have posed in transition this year, but wasteful finishing in the first half proved crucial. Barca, in fairness, weren’t dominant until Suarez’s winner, which could represent Madrid’s tired legs in midfield, and their determination to find an equalizer. The tactical elements were scarce throughout, but both goals epitomized the current ethos at both club – Madrid didn’t possess an alternative attacking method in the latter stages, but worryingly (with a two legged clash against Atletico on the horizon) Madrid still encounters issues breaking down organized back-lines. Barcelona came from behind on two separate occasions in the first half to defeat Atletico Madrid at the Vicente Calderon. Diego Simeone was without Koke and the suspended Diego Godin, forcing the Atletico manager to make a few alterations as Raul Garcia and Jose Gimenez slotted into the starting XI. Luis Enrique made no changes to the side that defeated Atletico in the first leg encounter at the Camp Nou. In search of a result, Atletico strayed away from the approach that was successful in the past against Barcelona – pressing higher up the pitch, and pushing their fullbacks forward, which proved successful, but equally costly. From the opening minute it was evident that Atletico were adopting a more proactive approach at the Vicente Calderon. Simeone’s side required two goals to secure progression in normal time, and it was unsurprising to see Atletico press higher up the pitch for large portions of the first half. The two strikers pressed the centre-backs, while the wide players quickly closed down the attack-minded Barcelona fullbacks. But where Fernando Torres’ goal may have encouraged Simeone’s men to revert back to a low block, the home side continued to push forward in search of more goals. While we’re accustomed to Atletico maintaining a low block in their half while Barcelona monopolizes possession, here, the hosts pushed forward at every opportunity, thus leading to an open first half. The main theme of the match, however, was the activity in wide areas. Atletico’s improved first leg performance – in comparison to the league encounter at the Camp Nou – witnessed a winger and either Koke or Mario Suarez drifting wide in aid of the fullback to create 1v3 situations against Messi and Neymar. The attempt to replicate this successful approach without the ball proved futile, as Messi constantly evaded Mario Suarez’s attempt to provide additional cover. However, Atletico’s proactivity was key factors in both goals. Guilherme Siqueira moved ahead of Messi to intercept Javier Mascherano’s cross-field pass, which led to Torres’ opener. Then, Juanfran powered past Neymar and Jordi Alba before colliding with Javier Mascherano to earn a fortuitous penalty. Ultimately, Atleti’s best chances were also created in wide areas, with Siqueira and Turan combining on two separate occasions, with the former finding Griezmann unmarked in the box – the Frenchman’s tame effort was saved, and he theatrically appealed for a suspected Jordi Alba hand ball. The downfall to Atletico’s proactivity, though, was the lack of protection in transition. While the full backs surged into space behind Neymar and Messi, they equally left ample space vacant to arguably the best attacking trio in world football. With Messi and Suarez upfront out of possession, and Neymar occasionally tracking back – Barcelona often dropped into two banks of four with Rakitic, and Iniesta at times moving into wide areas – Enrique’s approach to bypass Atletico’s pressing by quickly facilitating the ball to the attacking trio was effective. Barca simply exposed the space behind Atletico’s fullbacks on several occasions through methodical direct moves. Neymar’s equalizer stemmed from a Gerard Pique headed clearance, and the Brazilian sprinting past Juanfran into vacant space. Subsequently, a simple punt from Marc-Andre ter Stegen nearly led to another Neymar goal, but the Brazilian was rightly ruled offside. 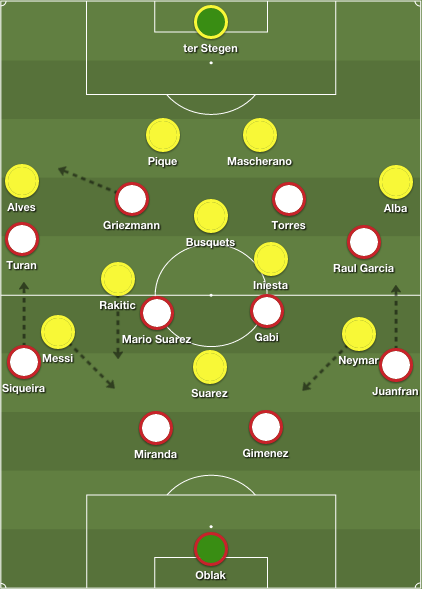 The issue in that move was that Atletico’s Siqueira and Gabi were left in a 2v2 situation against Messi and Neymar. It was evident that Atletico’s intent to go toe-to-toe was a gamble, and it was odd seeing the reigning La Liga champions continuously picked off by simple, direct attacks. Neymar’s winner also highlighted Atletico’s defensive naivety, with Messi storming into acres of space down the right, and Jordi Alba – who was accused of handling the ball – quickly sprinting to the home side’s box to direct the Argentine’s cross into Neymar’s path. Enrique’s decision to encourage his men to quickly play passes to the attackers has tormented Simeone’s side this month, but here, Barca’s talented trio benefitted from the space Juanfran and Siqueira left available. One key aspect throughout the first half was Rakitic’s movement in midfield. Not only does the Croatian offer Barcelona’s side a different element in central areas, but his verticality epitomizes the Catalan club’s philosophy under Enrique. While Barcelona is likely to dominate possession in most matches, the emphasis on long spells of ball retention has been replaced with quick, vertical passes to the forwards, which could explain the attacking trios increased dribbling and fouls suffered. With Busquets at the base, and the combination of Iniesta and Rakitic shuttling, the midfield equally suits the system. Iniesta is a dribbler that isn’t renowned for dictating the tempo of matches, while Rakitic was free to make intelligent, powerful runs into space. Likewise, Barcelona did enjoy a 3v2 overload in midfield, so with Gabi and Mario Suarez pressing Busquets and Iniesta, Rakitic often operated as the spare man in central areas. In the 18th minute, Rakitic’s forward run into the right channel nearly set the Croatian free, but Messi’s pass was over hit. Although the away side was likely to encounter difficulties maintaining control of the match, Rakitic’s forward runs posed issues. The Croatian earned a corner when he latched onto Neymar’s lay off, and a Dani Alves pass that found Rakitic unmarked at the edge of the box led to the corner that resulted in Miranda’s own goal. Under Enrique, Barcelona have identified a rejuvenated sense of direct play: from Rakitic’s untracked vertical runs into space, to the initial ball that ignited the break to Neymar’s winner, there’s no surprise that a stable XI and shift in play has increased the Croatian’s significance in the squad. Sadly, the match reached its peak in the first half. Gabi’s dismissal at half time forced Simeone to replace Griezmann with Saul. Atletico dropped into a 4-4-1 without the ball, and retreated deeper into their half, offering minimal threats on the break. The home side’s best chance came with 20 minutes remaining, when Torres flew past Busquets thus leading to Cani firing a devastating shot on goal, but ter Stegen punched the substitute’s effort over the net. Messi dropped deeper into midfield to ensure Barca retained possession to kill the game, and despite Atletico ending the match with nine men, the away side was unable to build on their lead. Barca effectively got the job done in the first half. In the span of 17 days, Enrique has rectified his disappointing results against tougher opposition by defeating Simeone’s Atletico on three separate occasions. Despite two early scares, Enrique’s reluctance to alter his approach proved decisive: Barcelona’s front three were devastating in transition when they broke into space behind the fullbacks, quickly placing their attacking trident in positions to isolate defenders with their dribbling. Nonetheless, while Simeone’s reactive low block has tormented Real and Barca in recent years, it appears the latter has found an ideal solution to their shortcomings, while the reigning champions were exposed in their attempt to outplay Enrique’s side. Perhaps Enrique’s Barcelona possess a few flaws throughout the squad, but the focus on quick vertical passes to the strikers is a shift from the days of patient, meticulous ball retention – more importantly, it’s working. A year ago, Diego Simeone’s side defeated Real Madrid for the first time in 14 years at the Santiago Bernabeu to claim the Copa del Rey. After winning their first La Liga crown in 18 years with a draw at the Camp Nou last weekend, Atletico Madrid travel to Lisbon to participate in the first-ever local derby Champions League final against Real. Although Real are in search of La Decima, an Atletico victory would complete an unprecedented double, and be classified as one of the greatest triumphs in football history. But Carlo Ancelotti’s men will arrive in Lisbon as favourites with Portuguese forward Cristiano Ronaldo aiming to claim his second Champions League crown, and increase his record-breaking 16-goal tally. This is expected to be a high-octane, scrappy affair, between two sides that thrive on the counter-attack. Stylistically, Atletico’s ability to maintain a high level of play and compete with Europe’s richest clubs is remarkable, and it’s fair to say that they’re not underdogs. Atletico possesses one of the best defensive records in Europe, and they prove to be a difficult outfit to beat when their back four is fit. Equally, they shift and press as a unit, and quickly transition into attack with quick intricate combination passes. Simeone’s men drop into two banks of four without the ball and the two strikers stick goal-side to the opposition’s deepest midfielder’s to close down passing lanes. The wide men –– Koke and Arda Turan –– adopt narrow positions to limit space between the lines and central areas. Full-backs, Juanfran and Filipe Luis, also decrease space between themselves and the centre-backs, and encourage the opposition to play through the flanks, as Miranda and Diego Godin consistently dominate aerial duels. Atletico’s shape when Madrid maintain possession. The wingers tuck in centrally, and the two forwards allow the Madrid centre-backs to circulate possession. Atletico are capable of winning the ball higher up the pitch, or sticking to the aforementioned tactic, but under both circumstances their ability to quickly break into attack is pivotal. Both wide players are technically astute, hardworking players, with Koke drifting infield to express his creativity, while Turan evades challenges and motors forward. The positioning of the two forwards usually enables them to receive the ball while running towards goal, or dropping off to receive the ball and pull defenders out of position. Atletico maintain the same shape, but Turan is ready to press Arbeloa when he receives the ball. Diego Ribas and Diego Costa have closed down Xabi Alonso’s passing lanes and Juanfran has also adopted a narrow shape closer to Miranda. Diego Costa and Turan, however, are both injury doubts ahead of Saturday’s final following their early first half departures against Barcelona. While the latter is likely to feature against Madrid, Atletico are working hard to ensure the former is also fit. In both league fixtures this season, Costa worked the channels admirably and consistently tormented Sergio Ramos and Pepe. Likewise, Costa’s physicality, and eye for goal –– scoring 36 goals in all competitions –– is unmatched. Adrian Lopez or Raul Garcia will be the likely replacement for the 25-year-old striker, and both men offer different threats. Similar to Costa, the former relies on pace, but in terms of strength and finishing he’s not quite at the Spaniard’s level. Still, when called upon Lopez has delivered, scoring goals against Barcelona and Chelsea en route to the final. The latter, on the other hand, could field on the right flank or upfront, and his physical presence would see Atletico play direct. In previous rounds he targeted Jordi Alba and Ashley Cole to utilize his aerial superiority, and the Spaniard’s 17 goals in all competitions is only bettered by Costa. 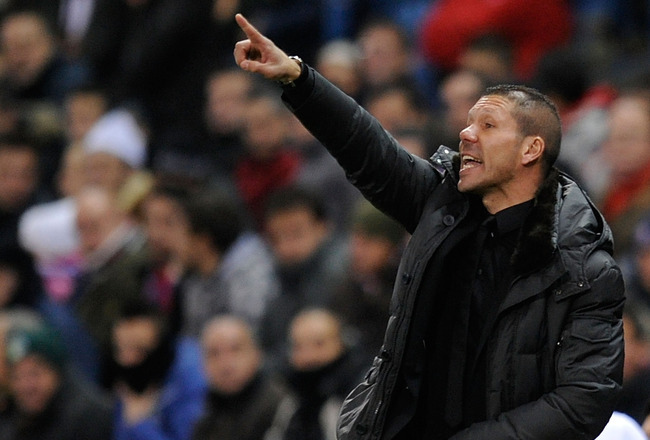 Atletico, though, isn’t the only side heading into Saturday’s final with personnel concerns. Gareth Bale and Ronaldo passed fitness tests earlier this week, but Pepe and Karim Benzema are both unlikely to feature, meaning Raphael Varane and Alvaro Morata will be included in the starting XI. Carlo Ancelotti will also be forced to decide between Sami Khedira and Asier Illarramendi to complete a midfield trio for the suspended Xabi Alonso. Khedira has featured in Madrid’s final two games of the season –– 117 minutes –– after tearing a cruciate ligament in his knee six months ago. Khedira was in the midfield that lost to Atletico in at the Bernabeu in October, but he failed to trouble Simeone’s midfield. Illarramendi, 20, has struggled against physical sides that intentionally target the Spaniard, and it’s likely that Ancelotti may go for Khedira’s dynamism and tenacity, despite the German’s scarce match fitness. Madrid have been at their utmost best in this tournament when given the opportunity to play on the counter –– most recently displayed against Bayern Munich –– but Ancelotti’s men will likely dominate possession, and the pattern of the match will be identical to previous encounters this season. In three matches of significant value this season –– the tie was over in the second leg of the Copa del Rey –– Madrid struggled to break down and create legitimate goal scoring opportunities against Simeone’s men. The one match that Madrid won two goals stemmed from major deflections, and a well-worked move from Angel Di Maria and Jese Rodriguez. Atletico, on the other hand, pose a legitimate threat through set pieces, and if Costa is unavailable, Simeone’s men will aim to exploit Madrid in these situations. Considering the circumstances, Luka Modric and Angel Di Maria will be the key men for Madrid. Both men provide the dynamism and creativity in midfield that steered Madrid to the Copa del Rey final, but were equally nullified in their second league encounter at the Vicente Calderon. With Ronaldo and Bale keen on drifting into central areas, Atletico’s narrow defending nullifies space for the wide players to cut into. Both men have failed to produce quality performances against the newly-crowned Spanish champion, with Bale struggling in 1v2 situations, and Ronaldo lacking service and space to create shooting angles. With that being said, Modric’s ability to dictate the tempo of the match, and Di Maria’s willingness to spring forward and provide a goal-scoring threat will be key. In eight of the last nine fixtures between the two sides, a goal has been scored within the opening 15 minutes. And while an early goal is expected, it won’t necessarily alter the predicted pattern of the match. Atletico’s system solely focuses on limiting space in their third, defensive solidity, and quick transitions, and Simeone is reluctant to stray away from his philosophy. With Madrid’s recent issues in open play against Simeone’s side, and their tendency to switch off during matches, one goal may be the difference between success and failure. In 12 months, Atletico have snapped various droughts against their cross-town rivals, and on the biggest stage in world football, they’ll be seeking to avenge their loss to Bayern Munich –– in which the late Luis Aragones scored –– 40 years ago. With Atletico’s limited financial resources and diminutive squad, Simeone’s ability to get his side to sustain maximum levels and challenge on both fronts –– domestic and European –– serves as a triumph for modern football. Meanwhile, Madrid’s return to the final for the first time in 12 years will be considered a failure if they don’t claim La Decima. The sky is the limit for Atletico, whereas Real have everything to lose.